The PDGM Summit has reached capacity. To be placed on the waiting list, please call PHA Program Coordinator Christine Wiercinski at 1-800-382-1211 x21 or email at c[email protected]. Home health agencies must initiate significant organizational and operational changes in early 2019 in order to successfully transition to the Patient-Driven Groupings Model (PDGM). 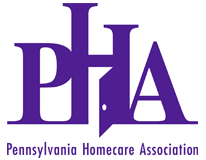 PHA is partnering with the National Association for Home Care & Hospice (NAHC), the Forum of State Associations, and the Home Care and Hospice Financial Managers Association to offer a one-day summit specifically focused on the upcoming changes to PDGM. It is critical for you to have the new tools and knowledge necessary to understand and adapt your business to these important changes. This in-depth, one-day summit will cover all facets of managing change to PDGM – operational, clinical, financial, data analysis, and technology. Faculty drawn from the top home health consulting firms in the nation will provide you with the skills you need to smoothly and successfully transition to PDGM. IMPORTANT! If you are a member of NAHC or another State Association, please use discount code PDGMPA19 when registering to receive the discounted PHA rate! Click Here to book your overnight with our special rate of $109/night at the Radisson Hotel Valley Forge. Book by January 23rd to receive this discounted rate!